The Enchanted Forest is a designated wildlife sanctuary covering more than 450 acres in North Brevard. 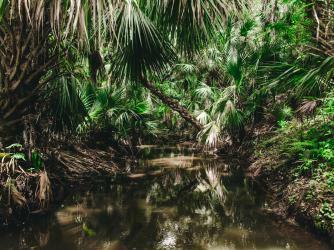 As the flagship of the Brevard EEL Program, the Enchanted Forest Sanctuary is one of the few places on Florida's Space Coast where visitors can experience several eco-systems from majestic oak hammocks, wet prairie, pine flatwood, and the Atlantic Coastal Ridge in one short hike. 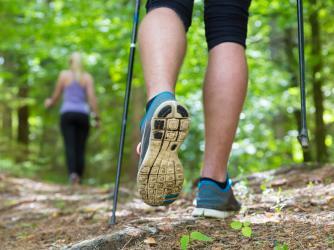 Several miles of hiking allows visitors to enjoy the natural beauty of Central Florida. Wildlife observation, nature photography and hiking are popular recreational activities as well as nature-based educational programs. Viewable wildlife includes: Eastern Indigo Snake, White Tailed Deer, Florida scrub lizards, green anoles, gopher tortoises, bobcats, woodpeckers, and a variety of butterflies. The sanctuary also boasts a modern educational facility complete with classrooms, an interactive exhibit room, an environment and historical lending library with topics about Florida for all ages. Plus library, offices, restrooms, and a gift shop.